Walk the Labyrinth at Sunrise on Good Friday. Begins at 6 am, you are welcome at any time. 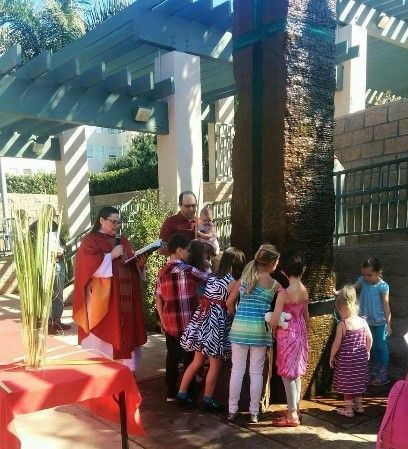 Children gather around the fountain on Palm Sunday to help bless the water. Easter Sunday, all are welcome to join us for this glorious celebration with inspiring music! 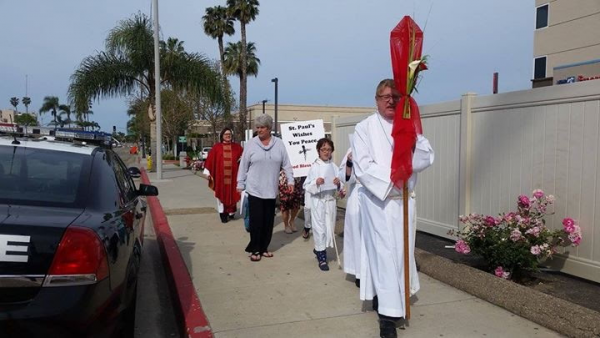 Palm Sunday Procession to the Ventura County Medical Center. This short walk occurs at 9:30am, between the services, everyone is welcome to participate. Whatever you decide to do in your busy life, we want you to know that St. Paul's wishes you Peace. Holy Week: Participating in the story can make all the difference. to experience a truly glorious Easter this year? Participating in the story makes all the difference! Life can be so busy! We all lead busy and hectic lives. So much of our time is taken up by things that are important in the moment but aren’t really the most important things we want to accomplish in our lives. Connecting with our spiritual side and growing in faith are important goals that often have to take a back seat to the more pressing issues of everyday life. We have the best of intentions, but there’s only so much time in a day. Palm Sunday is on April 14th this year. Holy Week is a time to remember the final days of Jesus’ life on earth. It begins on the Sunday of the Passion, also called Palm Sunday, and it continues until the first service of Easter on the following Saturday night. It is a time rich with meaning. Do more than just remember. It is in participating, in remembering the story, by bringing it to life again even in small and simple ways in this time and in this place, that makes all the difference. 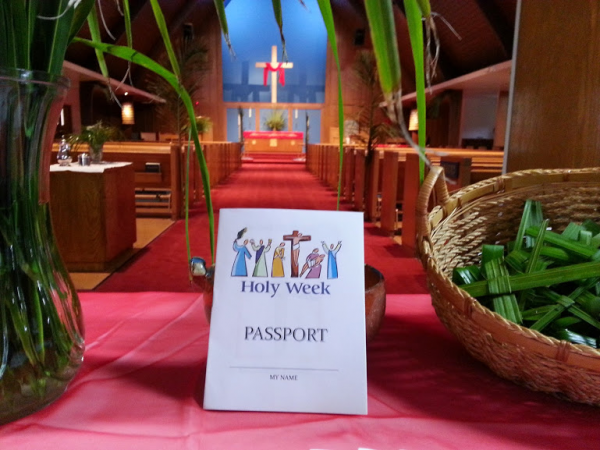 During Holy Week services you are offered the opportunity to participate. When you sing the ancient hymns like they did, pray the prayers they prayed, walk carrying palms like they did, allow your feet to be washed like they did, and keep vigil through the night trying to stay awake and watch and pray, you become more than just a passive listener. You become a part of the story. Your faith becomes very personal, deep and important. Your faith grows. You don’t find time, you make time. Making a little time to experience Holy Week, can make a big difference in your life and in your faith. Each of the services offered can open you up to the power of God. Each can touch you deeply, stir your feelings, inspire your spirituality and help you connect with God. Come experience Holy Week and remember what it’s like to have a profound spiritual experience. Each service or activity you attend will remind you of Jesus’ Passion (which means suffering) and help you more fully understand the depth of God’s love for you. During our services at 8am and 10:15am, we remember Jesus’ triumphal entry into Jerusalem. 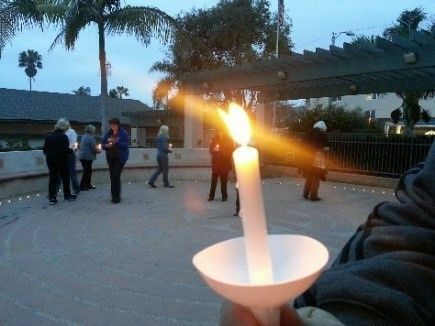 At 9:30am we invite you to join the Procession of the Palms across the street to offer prayers at Ventura County Medical Center. Children are invited to help stir the water and bless the palms at the 10:15am service. This service will feature our wonderful and inspiring ASL interpreter. Come join us as we remember and engage this powerfully moving story. We’ll wave palms, enter the sanctuary singing, hear the Passion reading and remember the events of the last week of Jesus earthly life. At 7:30pm, we will remember the Last Supper when Jesus washed the feet of his disciples and instituted the Eucharist. Then, when he was at the table with them, he took bread, blessed it, broke it and said, “This is my body…,” and “…do this for the remembrance of me.” This service also includes the powerfully moving practice of stripping the altar. 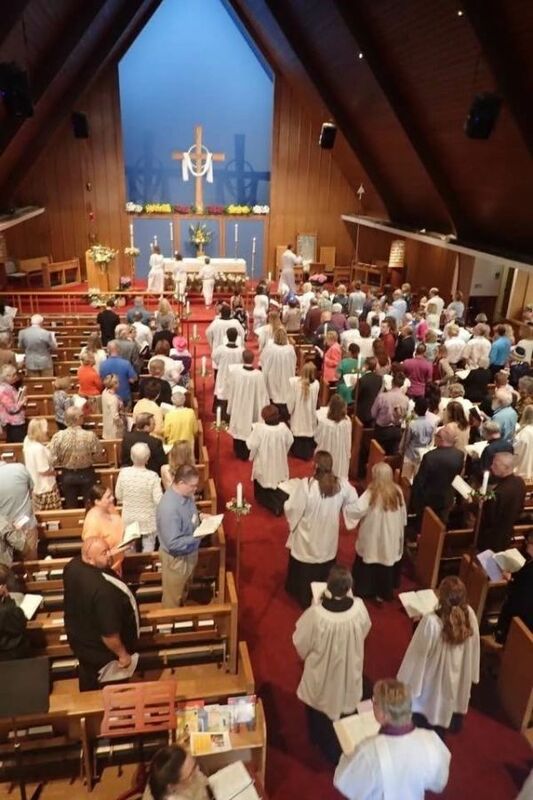 While parish members dressed in black slowly remove everything holy from the sanctuary, we remember Jesus going to the garden with his friends and asking them to stay with him, to watch and pray. From that point on, church members take turns keeping the watch during the Vigil at the Altar of Repose. The watch runs through the night and continues until the Noon service begins on Good Friday. From 6-7am we will light candles and quietly walk the Labyrinth as the sun rises. At 3pm, as we remember Jesus’ death on the cross,we ring the church bells and lock the church doors. At 7pm we invite you to join us in Kahler Hall (which is next to the parking lot) to Experience the Stations of the Cross. Whether you plan to attend all the Holy Week services, or this is the only one for you, you’ll be glad you came! We will walk the Stations of the Cross remembering what Jesus went through as he made his way to Calvary. Everyone will have the opportunity to do or experience something related to each station as we remember Jesus’ way to Calvary. When Jesus is condemned, we will each have the opportunity to bang the gavel. When he is stripped of his garments, we will each tear off a piece of cloth. Together we will carry the wood and build the cross. When we are finished, we will place it in the memorial garden and pray. This is a powerful and meaningful way to remember and give thanks for all that Jesus sacrificed for us. Having experienced and truly felt your way through Holy Week, you’ll be ready for a wonderful and glorious Easter celebration. We invite you to join us. On Saturday, April 20th, we celebrate the first Easter service with the Great Vigil. On Easter Sunday, April 21st we will offer services at 8am and 10:15am with the sharing of Easter breads after each service. The 10:15am service will have ASL Interpretation and feature the ASL Minute. For over 130 years St. Paul’s has been a loving, welcoming and inclusive community in Ventura, California. We follow Jesus, nurture ministries and welcome all. Each week we come together to worship, to hear God’s Word and lift prayers for ourselves and others. We gather around the table to receive the bread and wine made holy and celebrate the presence of the risen Christ in our midst. In this way we are renewed and strengthened for the work we have been given to do; to love and serve the Lord and to shine as the Light of Christ in the world. We take our call to serve very seriously and reach out to the world by feeding the hungry, helping those in need, supporting important causes, and by doing all we can to put an end to the scourge of modern-day slavery. In addition to all this, St. Paul’s has been learning sign language. Why? Because all are welcome here! Wherever you are on your journey of faith, you are welcome here. 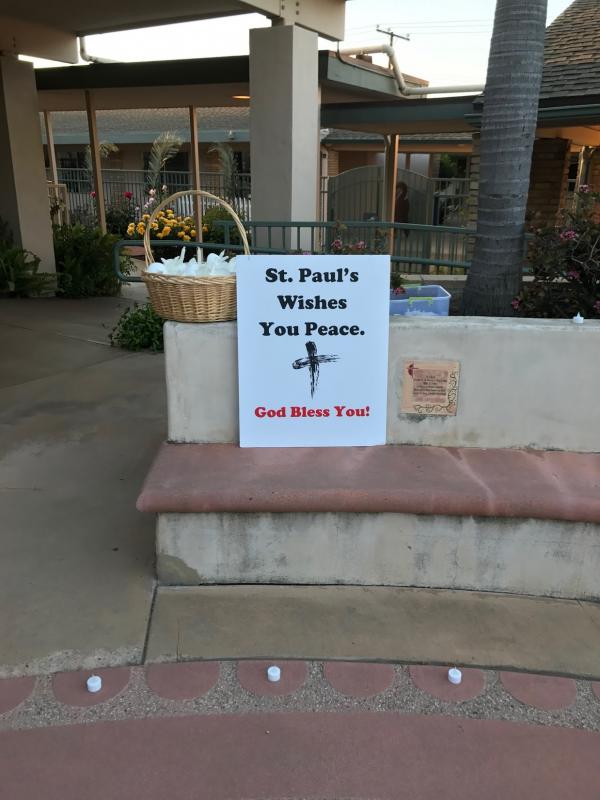 we want you to know that St. Paul’s wishes you Peace.